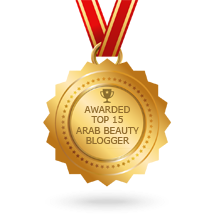 When I got asked to share beauty tips with Abu Dhabi Week, I was beyond flattered. Abu Dhabi Week is undoubtedly the most widely read weekly in the capital, and to get featured here alongside well-known local beauty celebrities is an honor indeed. Thank-you for the coverage Abu Dhabi Week! Posted in Press and tagged abu dhabi, Abu Dhabi Week, Beauty, beauty tips, dubai, makeup, sharjah, Strobing, UAE. Bookmark the permalink.